Lutheran Braille Workers-Canada (LBW-C) may have a new motto, but the organization’s mission remains the same. “Helping People Touch the Promises of Jesus” replaces the original “Bringing Christ to Those in Darkness” but LBW-C continues providing access to the Bible and the Lutheran doctrine for blind and visually impaired persons around the world. The not-for-profit organization has done so since opening its first Canadian centre in Elmira, Ontario in 1974. Despite some set-backs along the way, LBW-C continues its focused and valuable work through the grace of God and supporters of their ministry. At its September 2010 Board meeting, members discussed some of the issues affecting their work. With recent closures and challenges in re-establishing work centres, LBW-C recognizes that more volunteers and support are needed to keep this mission alive and well. Volunteers don’t need to know Braille, they just need a willing heart to print and bind Braille books. Being strictly a volunteer run organization, LBW-C relies on the generous support and prayers from individuals and groups to supply the funds needed to buy the special paper and supplies required for production and mailing of the Braille books. LBW-C is a Listed Service Organization of Lutheran Church–Canada. To create more awareness of God’s ministry to the blind and vision impaired, LBW-C is considering bringing back Braille Sunday. If anyone has ideas how and when this could be incorporated or presented to congregations, please e-mail or call Judy Obelnycki at LBWCanada@aol.com or (905) 820-4990. 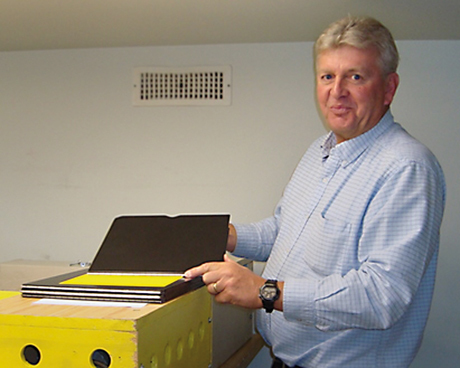 Braille books are printed using zinc plates and roller presses. All books are in Grade 2 Braille. Books are printed in many different languages and mailed FREE to those requesting them from all over the world.